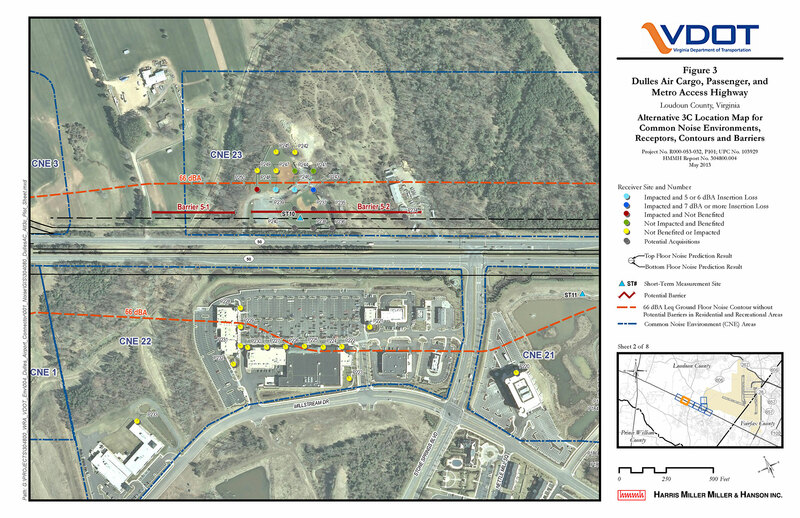 HMMH assessed potential traffic noise and air quality impacts associated with the proposed Dulles Airport Air Cargo Connector (“Project”) roadway. The Project is designed to enhance the movement of passenger and air cargo traffic to Washington Dulles International Airport (IAD) in conjunction with the planned Phase 2 extension of the Metrorail Silver Line. HMMH prepared an air quality impact assessment of carbon monoxide traffic emissions; the worst-case carbon monoxide ground level impacts were estimated at receptor locations in close proximity to the four worst-case intersections and interchanges using the EPA approved MOVES emission model and the CAL3QHC dispersion model. The study area is located in an EPA designated non-attainment area for the 1997 annual PM2.5 standard. Based on the EPA criteria specified in the Transportation Conformity Rule and associated EPA guidance, the Study Alternatives were not considered to be of air quality concern for fine particulate matter. The analysis also evaluated potential impacts from mobile source air toxics (MSATs) in the Study area. 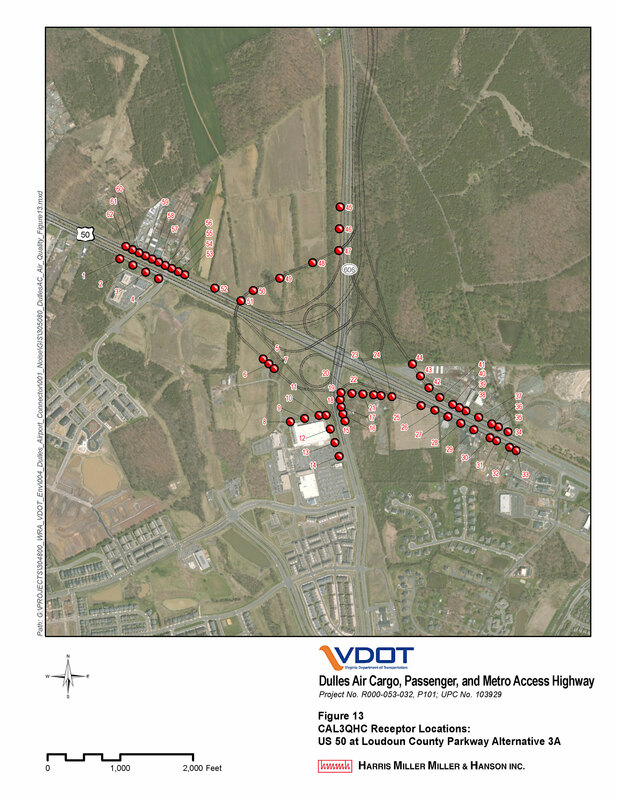 HMMH also conducted a noise study of three build alternatives in accordance with FHWA and VDOT noise assessment policies. The project was successfully delivered under a very aggressive schedule. One build alternative was in a new, lightly-settled location and showed minimal noise impact. The other two build alternatives were along existing Route 50 and Route 606 with considerably greater density of noise-sensitive land use, and therefore more noise impact was projected. HMMH evaluated noise barriers in all areas where impact was projected. The new location alternative had minimal need for noise barriers, as only 940 feet were expected to be feasible and reasonable in cost. HMMH’s study found that for the two alternatives along the existing roads between 0.5 and 1.3 miles of noise barriers would likely be feasible and reasonable. Those barriers would benefit between 37 and 68 impacted receptors.